Are Your Friends Worth $100,000 to You?? Every now and then I type “How to stay happy?” into Google looking for some good tips. A study published in the Journal of Socio-Economics states that your relationships are worth more than $100,000… Actual changes in income, on the other hand, buy very little happiness. So we could increase our annual income by hundreds of thousands of dollars and still not be as happy as we would if we increased the strength of our social relationships. We’ve all heard that the magical “happiness” salary is around $75,000 (more is nice, but only incrementally so, whereas less makes a much bigger difference), but never have I seen any price tags on relationships before. Kid #2: Hummm… just kidding, haha… another yes here. All other friends/acquaintances/random people you talk/work with every now and then: Nah… I’d miss some over others, but wouldn’t miss them $100k-much. And then if you REALLY want to be mind-boggled, here’s what your LIFE is worth according to various government agencies! My second favorite was #5 on how helping other people improves your mood – specifically 2 hours a week. Doesn’t seem that hard out of the 168 we have, eh? That picture up top used to be on the wall of my old house. 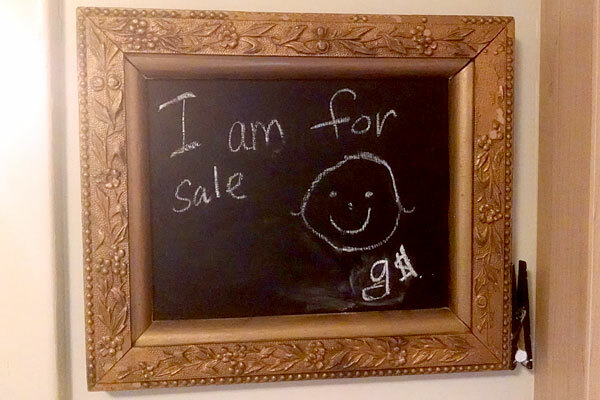 My sister was trying to sell it at a yard sale once, but after my nephew got a hold of it and stated that he was worth exactly “g$” I thought it was too cute to let it go, haha… Been trying to figure out how much g$ is ever since! Haha! Strange things happen when you try to put a price on priceless things. Or people. I once read an agreement on road construction (not for fun, for my job :)) that said the employer had to reimburse the contractor in case of a loss of life or permanent disability. Funny fact: it was cheaper to let the man die than to let him end up disabled. That type of thing leads to some gruesome videos of Chinese motorists. Apparently, if a driver hits a pedestrian, it will cost the driver much less if the pedestrian dies, so drivers often back up to make sure they kill the pedestrian. Interesting topic. #7 on the list – Plan a Trip: It Helps Even if You Don’t Actually Take One – so just thinking about positive things will improve your happiness. Never hurts to do a little daydreaming. I always try and start my day with positive thoughts. Today will be no different! Finally….validation! I’ve been trying my whole life to convince my family how valuable I am! Hah! I just tried selling something similar to my parents. We floated the idea of buying a huge house with an in-law suite if it’s still on the market in 2 years. We started discussing rent and I pointed out that time with the grandkids is priceless! As to the friends, the hardest part about some of my best friends is that they are still in the pre-kid phase. It’s just very hard to relate when we need to go to bed early or can’t go out bar hopping. Our neighbors are just like us so it has helped fill that gap. So the value assigned to us by the government agencies is presumably based on our tax we all pay. I wonder how much that changes though for early retirees who wouldn’t be paying nearly as much income tax!? With my wife and boys being out of town all of last week I realized that they were worth well over this $100,000 to me. When they drove away to make an all night drive I was terrified that I had just watched my whole life drive away and couldn’t stop worrying till they got there safely the next day. It made me realize that they were by far the most valuable thing that I have. But as for friends? I can’t think of one that I wouldn’t trade for $100k, maybe that just makes me a bad friend but I wouldn’t expect any of them to pick me over $100k either. I hate that feeling when they drive off too :( I’ve even taken less flights/trips myself just cuz I can’t bare the thought of leaving my kids w/out their daddy! I’ve gotten so mushy – and conservative – since having them! I thought the final fact was pretty cool – getting older makes you happier! As I head closer to to reaching 50 next spring, I am finding this to be so true! Letting go of what other people think and being happy about what I have and what I’ve done! Definitely focusing on greater well being and giving back – and being happy! I can totally understand why the seperation rate is so much higher than divorce. Being in limbo is a sucky way to live. I see people fight for years over silly things only because their pride is hurt. So sad…and expensive!! Glad you got lifted from your funk…the internet wins again!!! I wonder if the 75,000 number changes based on spending habits, if you are constantly filling up with “stuff” I can see it being true but those of us looking at FI see extra cash as acelleration towards a goal. My understanding is that the $75k figure comes from average American spending habits. I would imagine that would mean that the number would be even lower for FI-minded folks because our spending is more optimized and less wasteful. That said, maybe when you view money as a tool for reaching your FI goal, then any extra progress along that path would lead to increased happiness. I could see it going either way. I’m always intrigued by the processes that people devise to place monetary value on non-material things. I’m really curious why the different government agencies all came to different numbers. Very interesting. What are these dollar amounts based on? How much happiness that amount in income would bring? Either way, it rings true that relationships and helping others definitely bring happiness that’s worth a lot! Maybe there’s a business venture here – friend pimp. How much for a day? This is certainly intersting. Getting older has its perks. You can look back and see your mistakes things you could have done differently. This list shows that some things simply aren’t worth it, but hindsight is 20/20. Great post bud! Interesting estimate on health. How does the saying go? We’ll sacrifice our health to make money, then we’ll spend all our money trying to get our health back. This made me go do some push-ups and invite a friend to lunch today. Cheers! A lot of people do choose to trade money for health. They eat junk, don’t exercise, don’t go outside, and are tired and angry all the time. They’re not good friends, so others don’t want to stick around. Many of these people blame all of this on things outside their control, but most of it really is their choice to a significant extent. I’ve always liked that “Would you give up an arm or leg for a million dollars?” question. Some people would! “Happiness is maximized at 57 degrees.” Not sure how they got this statistic but it seems pretty crazy to me. I feel pretty darn happy relaxing on a Caribbean beach at 80 degree weather so I may have to disagree with this one. These numbers are fun to think about, but they are pretty meaningless. Nobody would pay you for your relationships, and I highly doubt anyone would give up their health for $460,000. Happiness and economics are very strange bed fellows. I find it fascinating that we try to quantify the unquantifiable. It puts the focus entirely on the wrong thing. 1. Continuous learning: when we keep learning and growing as a person and we’re never disappointed. 2. Gratitude: notice the little things that make life so wonderful: a smile, a kind word, even a good cup of coffee. 3. Connection: whether it be with family, friends, even business associates & school buddies or through music, theatre, dance or books, being able to connect with other people creates an energy in us that helps us relate and thrive. Connecting lifts our spirits and exposes us to ideas about living we’d never come up with on our own. We’re stronger together. 4. Risk: feel the fear and do it anyway. We never feel more alive than when we’ve managed to do something that scares us. Our comfort zone is forever expanded. 5. Purpose: we’re happiest when we feel that what we’re doing matters. The more meaning and purpose we have in life, the easier it is to get through some not-so-fun times. Double amen on Learning and Purpose! So easy to just do the same thing over and over again without Something pushing you otherwise. We were great in school when everything was structured and all we did was get to learn! :) Same with college – only MUCH more fun haha…. If this is true, do I have a deal for you! I’ll be your friend for only $90k! Or, I’ll sell you three of my friends for $200k — buy two get one free!!!! Haha… too late – already Scored a 100% off coupon when we first met :) The “finance blogger” special. I love how this puts money into perspective. Money has value, of course. It’s just a far, far lower value than that of the people we love and the friends we spend time with, and generally just cultivating a life full of good relationships, rather than one sole of good investments. 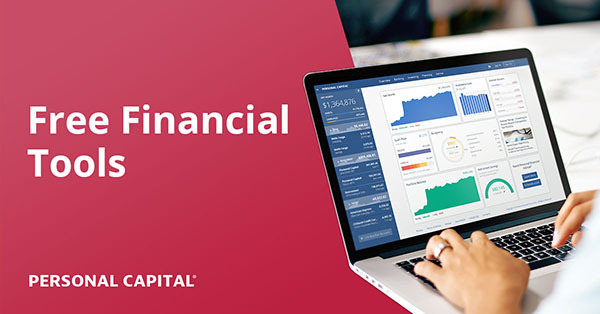 We personal finance folks are probably a bit more in need of reminding of that than the average Joe, so thanks for the post, J Mo. Agreed! We get so sucked into it sometimes. As someone who doesn’t have their health anymore, I can tell you it would have taken a lot more than $463,170 to make me choose money over health. More like $10 million to even entertain the thought. And while I can see a separation being a bigger negative than divorce, I think that divorce number really underestimates how terrible divorce can be. Really interesting statistics though. Interesting facts about the value different agencies place on a life. So do I have to get a 9 million dollar policy for the miss or aka the government. LOL, smile about that joke and you’ll be good any day. Well I’m off to day dream about reaching FI. Really interesting to see how much negative/drama/stress “costs” us. All the more reason to relentlessly eliminate the BS from our lives. really we measure our own financial value in net worth. If you think about it friends are really worth $100k since they end up costing us money too. Id be interested in a mathmatical breakdown of how much a friends net worth really is. Probably more like $50K over a lifetime… and even then I would trade all of my friends combined for $50K total, bunch of jerks….lol. This makes perfect sense. It’s the reason why we live a financially strapped life in an expensive town. All things being equal, a slight financial uptick isn’t always worth being far away from your family, or a deep bench of friends that you have built up through the years. Exactly.. Which is why it always annoys the hell out of me anytime someone says “Just move!” in order to save money. Fine if you’re going to a different community down the street and/or don’t have any friends/family where you live anyways, but to haul it halfway across the country purely for financial reasons? Crazy. Can’t separate all the areas of your life like that without affecting the others. I like the quote excerpts. IMO, people look for approval. If their family and friends approve of their actions they might not care if they have a low salary. So, people might theoretically chase higher paying jobs because they are lacking good friends at home. Quite possibly! Anyone we hang out around will affect us to some level. Seems like health would be worth even more than the figure mentioned. I’m so thankful I’m in good health (being 22 is also a big reason for it). Maybe when my friends don’t return my messages or turn down the chance to go out, I can threaten them with “you’re starting to tread below the 100k mark!”. That would work…right? Ha. It feels pretty darned good to know I’m that valuable. And yes, if friends could be brought, I would definitely spare no expenses. You get what you pay for, right? Haha… that’s how the saying goes. Of course! It feels great to enjoy money with friends and family. It’s really a double, happier experience, J Money. After 5 hours of volunteering today, I have to agree with two hours being worth so much. For my part, I’d say there’s no amount of money I’d trade him for — he’s just wonderful. We both agree that our fairly good health is also priceless. Friends and family are indeed valuable, and money certainly doesn’t equal happiness. In fact I know for a fact that the things that make me happiest are free. Backpacking, hiking, getting a good run in, and spending time with the folks that matter are really ALL that matters. J kudos to you for putting money in it’s place….a tool to be used, not a master to be served.